In large bowl, place 5 cups Cinnamon Toast Crunch™ cereal and 1 1/2 cups lightly salted, roasted peanuts. In 1-quart saucepan, place 1 cup creamy peanut butter, 1/2 cup unsalted butter and 1/2 cup real maple syrup. Cook 3 to 4 minutes, stirring frequently, until all ingredients are melted and well combined. 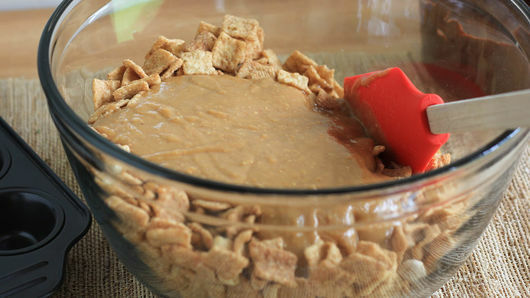 Pour mixture over cereal; with large rubber spatula, mix to combine. 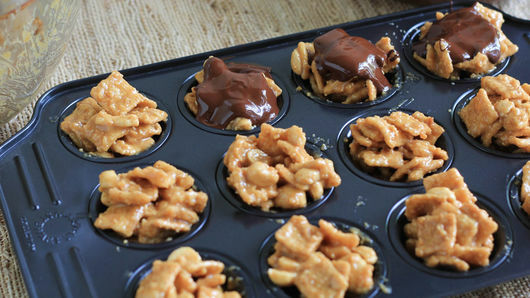 Place spoonful of cereal mixture into each of 36 ungreased mini muffin cups, filling each to top. In small microwavable bowl, microwave 2 cups bittersweet chocolate chips (60% cacao) on High in 30-second increments, stirring after each, until melted (about 90 seconds total). 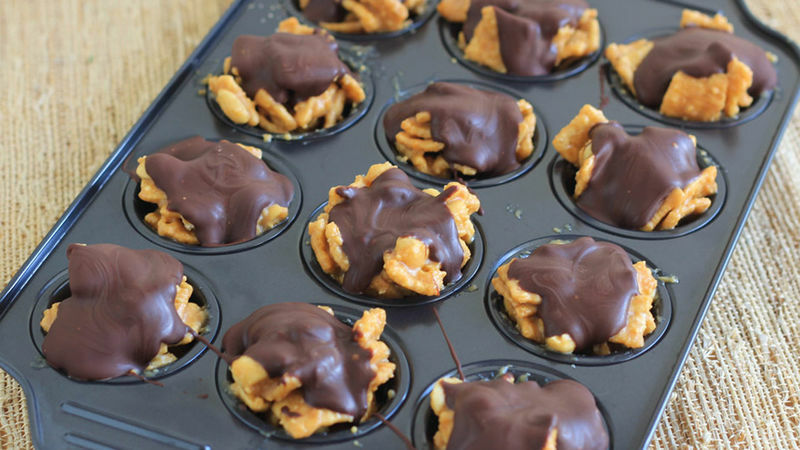 Spoon melted chocolate over each snack. Refrigerate 45 minutes. Remove muffin pans from refrigerator. Remove snacks from muffin cups; place in airtight food-storage plastic bags. 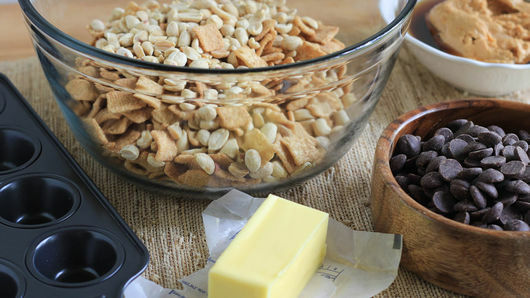 If you have a peanut allergy, use almond butter instead of peanut butter, and swap the peanuts for another nut. Add your favorite nuts for more protein and crunch, like pistachios, almonds or cashews.